You might have seen this image. 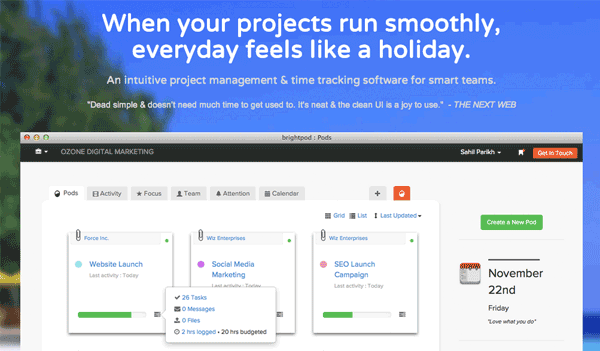 This is the image used on the front page of Brightpod — our project management software for marketing and creative teams. At the bottom of this page we write our motto: Life is short. Work smart. Have fun. We truly believe this. You might have seen this even in our newsletters. Time is a luxury and being productive is paramount. Instead of running like a headless chicken each morning try to take 15 minutes to plan, delegate and prioritise. Trust me, you’ll just have a brighter day. While we design and develop Brightpod, we try to incorporate as much feedback as we can from our customers so that we can make the Brightpod experience as seamless as possible. Planning your day and collaborating with your team should be an involuntary habit. These are some of my favourite productivity hacks that you can use to make each day count. The first 10–15 minutes in the morning should be devoted to planning and prioritising your and your team’s tasks for the day. This could be the thing you are putting off. This simple exercise will help you know where you want to go. Better yet, plan your week on a Sunday evening before you start Monday. This will help you save time on Monday and you can start off your day doing your most important task. 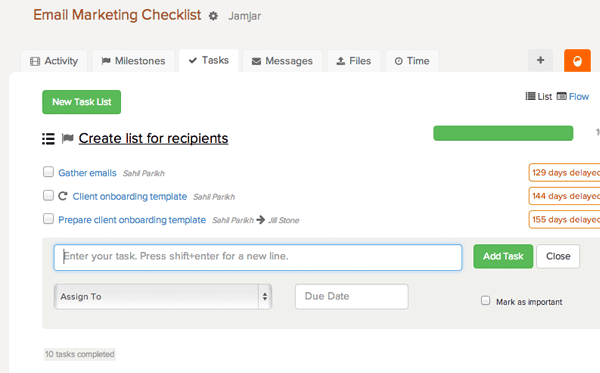 ‍Screenshot in Brightpod showing you tasks you have delegated. This would be your macro view and will help you stay in control. You are the pilot, Brightpod the cockpit and your dashboard showing you how everything is progressing. 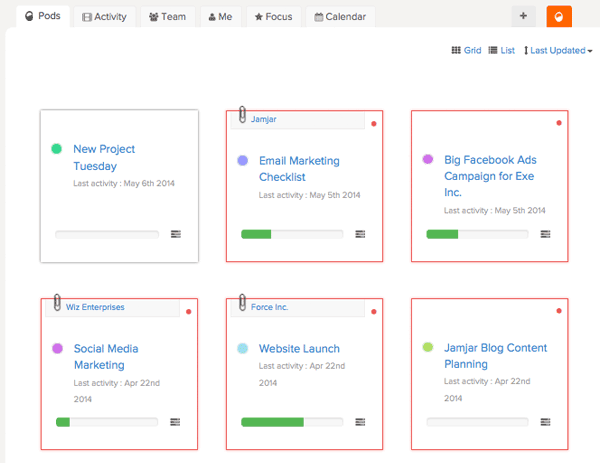 ‍Screenshot in Brightpod showing your projects and progress. Checklists helps in clearing the mind. They are actionable only when they are fed into a system. I read an interesting article last month which spoke about Apple’s giant checklist to get their products out the door. It mentioned not relying on “tribal knowledge” that is haphazardly passed from one team member to another. Instead, rely on a system and a process that documents all tasks, check lists and workflows that each of your team member or a group must follow. It is human nature to forget critical steps when implementing a project or a campaign. This leads to project delays, disgruntled clients and compromises your team. In Brightpod, creating a list only takes a few minutes. 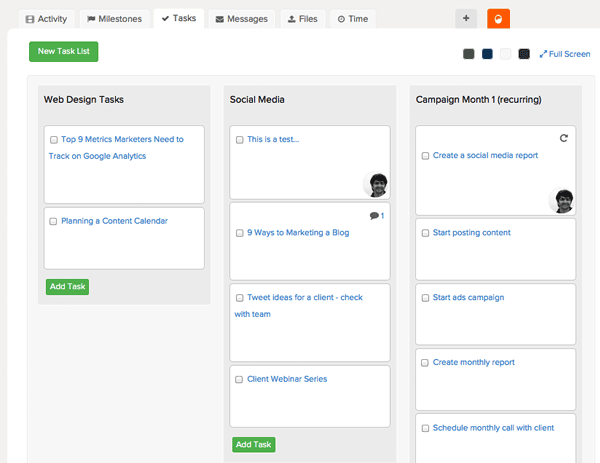 ‍Screenshot in Brightpod showing you the task flow view. You can easily drag things around. Don’t use email for delegation. You can’t track email and it will add to your frustration more than ever. Instead, trust the team to get things done and cultivate a sense of ownership in the company. 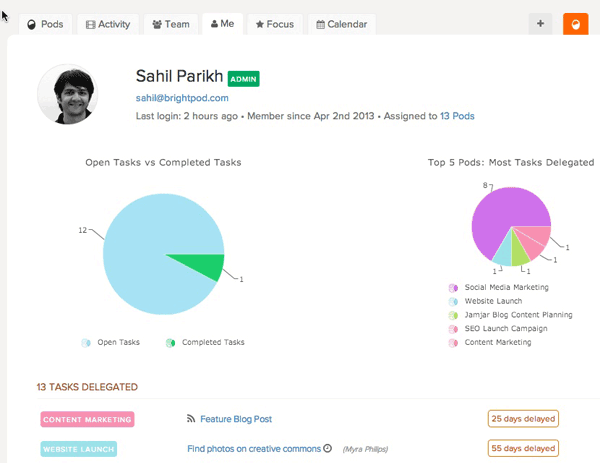 ‍Screenshot in Brightpod showing you the task list view. If you are a digital agency or a marketing company you are probably planning using a social media calendar, blogging, writing content etc. In Brightpod, we have made icons for each of your content types so you know what is due and when. 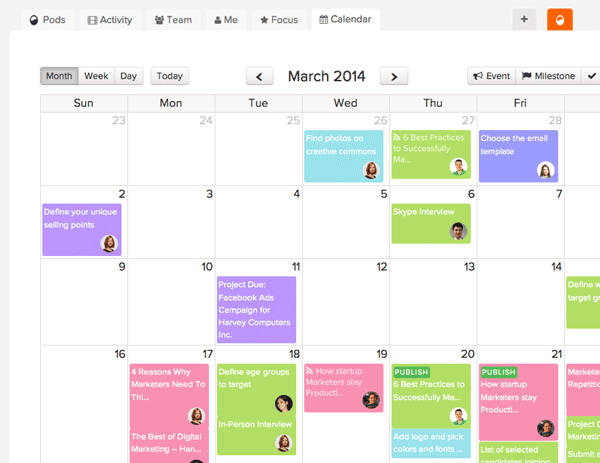 ‍Screenshot in Brightpod showing you the editorial calendar. The key to productivity is to focus on only a few tasks each day. Grab a coffee in the morning, focus a few of your tasks and then head to the focus page so you can zoom into them and nothing else. 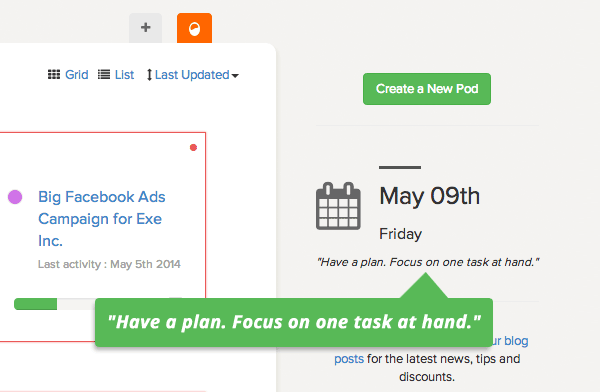 ‍Screenshot in Brightpod showing you the Focus page. Undoubtedly, email is one of the simplest services that we use daily. So, why not make use of it’s simplicity? Err, not for project management but for sending in your thoughts or ideas. Daily, I get a hundred blog ideas so all I do is to send in an email via Brightpod Send to record each blog idea. This way I am using the simplicity of email and the power of Brightpod and all my content ideas are nicely stored in a central place. 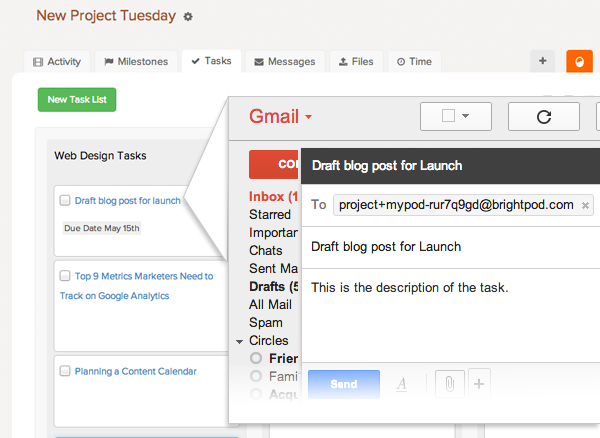 ‍Screenshot in Brightpod showing you how emails are turned into tasks. Find a way to automate everything you do. Document a tasks process, setup recurring tasks and workflows. This will help you save time when you have a similar kind of process to follow for another client. 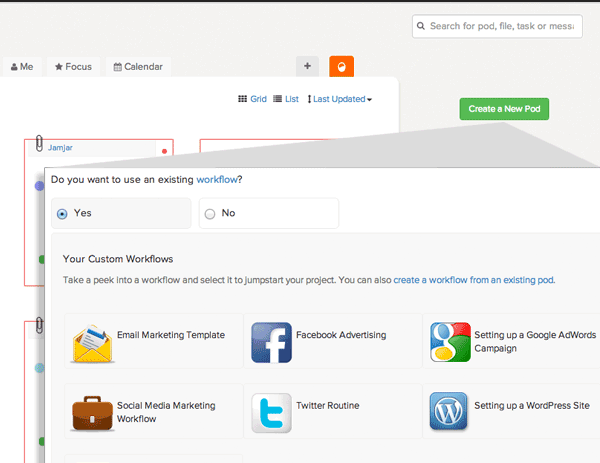 ‍Screenshot in Brightpod showing you default Workflows that you can re-use. Isn’t that what Evernote is helping you do? Similarly, all your client files can reside in Brightpod in their own projects. You might just will save a ton of time finding some of these files on a later day. 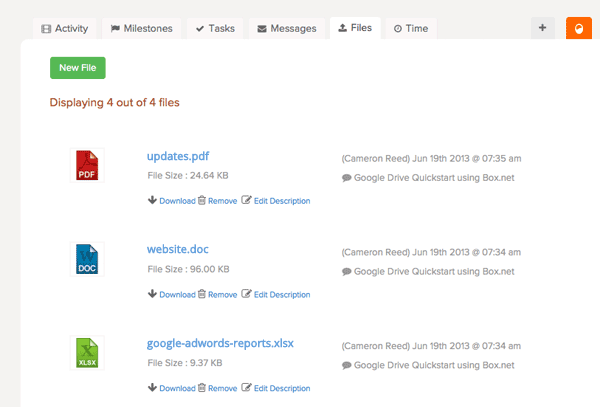 ‍Screenshot in Brightpod showing you list of all files uploaded. Now, stop reading this and go get some work done. Just remember to work smart, everyday. Have a bright day!